World Veterinary Day (WVD) will be celebrated globally this year on April 30, 2016. 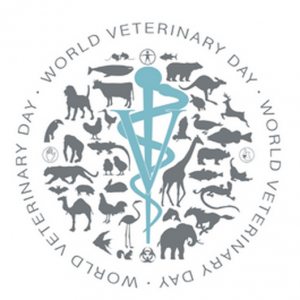 Created in 2001, The World Veterinary Association (WVA) began celebrating World Veterinary Day on the last Saturday of April. It is intended to promote the work of veterinary professionals from all over the world as they work to improve human and animal welfare, food safety, practices of animal transport and quarantine, the environment, and environmental conservation and protection. Each year, a different theme is chosen to reward the most successful contribution by the veterinary profession. The World Veterinary Association (WVA) and the World Organization for Animal Health (OIE) are organizing the World Veterinary Day Award 2016 to reward the selected theme for 2016: Continuing Education with a One Health focus. The competition is open to all WVA member associations, alone, or in cooperation with any other selected body. The winner association of the 2016 Award will be presented at the Opening Ceremony of the OIE 84th General Session to be held in Paris, France on 22nd May 2016. This year, the WVD’s theme focuses on how veterinarians continue their education efforts to increase their expertise on One Health topics, such as zoonotic diseases, food safety or antimicrobial resistance, and how they collaborate with the human health sector to tackle these issues. The One Health Concept is a widely discussed worldwide strategy for expanding interdisciplinary collaborations and communications to improve all aspects of the health and welfare of humans, animals and the environment. Veterinarians play a crucial role in protecting global health. In all areas of the profession, they have opportunities and responsibilities to improve the health and welfare of animals, and therefore, to improve the health of humans. Whether you’re a cat person, a dog person, a horse person, or a lizard person there’s one thing all animal lovers can agree on, and that’s the important work carried out by veterinarians. On this special day, why not raise a paw, hoof or claw to say thank you to our veterinarians.